Meyer Shank Racing driver Trent Hindman won the Motul Pole Award for Saturday’s Mobil 1 Twelve Hours of Sebring in the No. 86 Meyer Shank Racing Acura NSX GT3. Hindman was the only driver to go below the two-minute mark with a fast lap flyer of 1:59.917-seconds. The pole position was the first WeatherTech Motul Pole Award for the 23 year old American racer and the eighth career pole position for Meyer Shank Racing. The No. 86 Acura NSX GT3 of Hindman, Mario Farnbacher and Justin Marks had a promising run ahead of qualifying, topping the timing sheets in the first practice session on Friday. Following the final practice session, the MSR crew worked feverishly to find more speed for Saturday’s qualifying session working until midnight on Friday. Hindman’s Lap 4 flyer of 1:59.917-seconds placed him on the top of the sheets for the entire 15-minute session. With an impressive resume at Sebring International Raceway including a 2016 IMSA Michelin Pilot Challenge (IMPC) victory, Hindman had previously scored four IMPC pole positions. Winning the Motul Pole Award was extra special for Hindman, who credited his MSR engineer, Ryan McCarthy, who also celebrated as Hindman’s IMPC engineer when he scored his first ever Sebring pole in 2014. Mike Shank couldn’t be more proud of the hard work put forth by Hindman and the entire MSR crew. The Meyer Shank Racing crew last scored a pole position at Sebring in 2016. WeatherTech Racing drivers Cooper MacNeil (Hinsdale, Ill.), Toni Vilander (Finland), and Jeff Westphal (San Mateo, Calif.) will start seventh on the GTD grid for this weekend’s 67th annual IMSA WeatherTech SportCar Championship Mobil 1 Twelve Hours of Sebring Presented by Advance Auto Parts. Under sunny skies and temperatures in the low 70s, MacNeil was behind the wheel of the No. 63 WeatherTech Racing Ferrari 488 GT3 for this morning’s 15-minute GTD qualifying session. MacNeil turned his fastest lap of 2:00.974 on his fourth circuit around the 3.74-mile, 17 turn road course. “For me, the car was pretty darn good,” MacNeil said follow qualifying. “I made one small mistake in Turn 17. Then, I caught one car in traffic on my fast lap in Turn 16. That cost us a little bit, which ended up being a spot or two. But still, we’re in the top 10 at P7. That sets us up for a good starting position for tomorrow’s 12-hour race. “Obviously, it’s 12 hours long so starting position isn’t entirely crucial. The farther up ahead we start, the easier our job is. We’ve got a few cars to pass. But it’s a long race and we’ve got a really good race car. And, the crew is working really hard, doing a good job. We’ve just got to put it all together. Scuderia Corsa won the Mobil 1 Twelve Hours of Sebring in 2016 and the team finished second in 2017 and 2018. The Porsche GT Team takes up the 12 Hours of Sebring from the first two grid spots. Patrick Pilet (France) and Laurens Vanthoor (Belgium) posted the fastest lap times in qualifying for the second round of this year’s IMSA Weathertech SportsCar Championship. This marks the first time that the two ca. 510 hp Porsche 911 RSR, which contest the long distance classic in Florida again decked out in the design of the legendary Brumos team, line up side-by-side on the first grid row in the North American sports car championship. So far in the “Super Sebring” race weekend, Porsche has a perfect record. On the previous day, the works driver colleagues Kévin Estre (France) and Michael Christensen (Denmark) had clinched pole position for the 1,000-mile race of the Sports Car World Endurance Championship WEC. Pilet made perfect use of the grip of the fresh tyres in his first fast lap. With top times in all three sectors of the 6.02 kilometre racetrack, the Frenchman clearly underlined the huge potential of the Porsche 911 RSR. Last year, Pilet won the twelve-hour race at Sebring in the No. 911 car with his works driver teammates Nick Tandy (Great Britain) and Frédéric Makowiecki (France). During his first flying lap, Vanthoor missed out on topping the time sheets, but in his second fast lap he managed to push past all other cars from manufacturers contesting the GTLM class. The Belgian shares the cockpit of the No. 912 car with factory driver Earl Bamber (New Zealand) and Porsche Young Professional Mathieu Jaminet (France). Early this year at the season-opener in Daytona, the trio had scored a podium result. 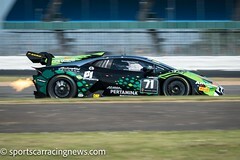 In the GTD class, Zacharie Robichon secured the third grid spot in the No. 9 Porsche 911 GT3 R run by the Pfaff Motorsports customer team. The Canadian shares driving duties in the ca. 500-hp racer with Porsche development driver Lars Kern (Germany) and Scott Hargrove (Canada). Nicholas Boulle took up the qualifying in the identical No. 73 model of Park Place Motorsports. 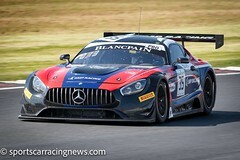 The North American driver will head into the twelve-hour race from position 14 with works driver Patrick Long (USA) and his fellow compatriot Patrick Lindsey. Round two of the IMSA Weathertech SportsCar Championship starts on Saturday, 16 March, at 10:30 hrs local time (15:40 hrs CET). Corvette Racing will go for its 12th victory Saturday in the Mobil 1 Twelve Hours of Sebring from the second and third rows of the IMSA WeatherTech SportsCar Championship’s GT Le Mans (GTLM) category. Antonio Garcia qualified the No. 3 Mobil 1/SiriusXM Chevrolet Corvette C7.R third in class during Friday morning’s time trials at Sebring International Raceway. His time of 1:56.158 (114.686 mph) wasn’t far ahead of Tommy Milner in the No. 4 Mobil 1/SiriusXM Chevrolet Corvette C7.R, who set a best lap of 1:56.248 (114.597 mph). The top eight cars in class were separated by just 0.832 seconds. The qualifying session marked the start of a busy day for Corvette Racing, which also will contest this afternoon’s FIA World Endurance Championship 1,000 Miles of Sebring. Garcia, Jan Magnussen and Mike Rockenfeller will start fifth in the GTE Pro category with the No. 63 Mobil 1/SiriusXM Chevrolet Corvette C7.R. Pipo Derani turned in the fifth-fastest time in qualifying on Friday, giving Whelen Engineering Racing a competitive starting position for Saturday’s Mobil 1 Twelve Hours of Sebring. Derani’s best lap was 1:46.354-seconds in the No. 31 Whelen Engineering Cadillac DPi-V.R that will be co-driven by defending IMSA WeatherTech SportsCar Championship titlists Felipe Nasr and Eric Curran. Derani is the defending Sebring race winner, and also won the event as a rookie in 2016. This is his first year driving the Whelen Engineering Cadillac, that was driven to third here last year by Curran, Nasr and Mike Conway. Whelen Engineering has finished on the podium in three consecutive Sebring classics, with its best finish second in 2016. The Whelen Engineering Cadillac was at or near the top of the charts in all three practice sessions on Thursday. Nasr led the opening session with a lap of 1:46.996. Derani was second in the afternoon practice, while Nasr was a close second in the extended night session. The Mustang Sampling Cadillac DPi-V.R was the top Cadillac qualifier in fourth for the Mobil 1 Twelve Hours of Sebring to run tomorrow, Saturday, March 16 at Sebring International Raceway. At the start of the 15-minute qualifying session under sunny skies and 80-degrees, Filipe Albuquerque posted the fastest lap of the six Cadillac DPi-V.R competitors in the No. 5 Mustang Sampling Cadillac DPi-V.R with a time 1:46.238. That time will have him start from the second row in fourth. His teammate, Pipo Derani, in the No. 31 Whelen Engineering Cadillac DPi-V.R qualified fifth with a time of 1:46.354. Jordan Taylor will start sixth in the No. 10 Konica Minolta Cadillac DPi-V.R with a time of 1:46.530. Simon Trummer, in the No. 84 JDC/Miller Cadillac DPi-V.R, will start eighth based on a time of 1:47.086. He was followed by teammate Tristan Vautier in the No. 85 JDC/Miller Cadillac DPi-V.R with a time of 1:47.275. Will Owen will start the No. 50 Juncos Racing Cadillac DPi-V.R from the 10th spot based on a time of 1:47.478. The teams will be monitoring the weather as rain is expected during the day on Saturday in central Florida. Albuquerque is joined in the Mustang Sampling Cadillac by Joao Barbosa and newcomer Brendon Hartley. Pipo Derani will start the No. 31 Whelen Engineering Cadillac DPi-V.R from the third row and shares driving duties with Felipe Nasr and Eric Curran. Jordan Taylor will start the No. 10 Konica Minolta Cadillac DPi-V.R and is joined by season regular Renger Van Der Zande and newcomer Matthieu Vaxiviere (VAX-i-VEE-AIR) at Sebring. The Rolex 24 winners are looking to make it two-in-a-row tomorrow. 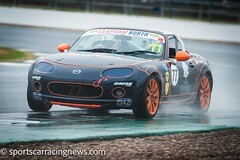 Trummer is partnered with Stephen Simpson and the team’s endurance driver Chris Miller. The 84 JDC/Miller Cadillac team is looking for a rebound performance at Sebring after a 10th place run at the Rolex 24. The No. 85 JDC/Miller Cadillac DPi-V.R will take the green from the ninth grid position. Qualifying driver Vautier is joined by Misha Goikhberg, as well as endurance teammate Juan Piedrahita. Will Owen piloted the No. 50 Juncos Racing Cadillac DPi-V.R in qualifying and posted a fast lap of 1:47.478 good for a fifth row starting position. Owen is joined in the red, white and green Juncos Cadillac by Rene Binder and Agustin Canapino. “Overall we have learned a lot about our No. 50 Juncos Racing Cadillac DPi-V.R and have been able to close the gap from where we started in the first practice session,” Owen said. “This morning we had some issues in the final practice session that prevented us from getting the most out of our time on track, but during qualifying we were able to put together a decent lap. I know we have some time to gain, so we will be working hard as a team to find those areas of where we can improve. We are going to work on what we know and go from there to be ready for the race tomorrow. Paul Miller Racing is ready to defend its IMSA WeatherTech SportsCar Championship 12 Hours of Sebring GTD class victory after completing final practice and qualifying this morning. Utilizing today’s qualifying run as an additional practice session, Ryan Hardwick made a strong run in the crowded GTD field in the 1st Phorm Lamborghini GT3 Huracán and will start 12th in the classic endurance race at Sebring. The decision to change engines after the final practice and qualifying was made last evening, turning the focus for today’s sessions on race set up. Being the first time for Hardwick to race on the famously tough Sebring circuit, it was also an opportunity for him to gain additional laps at the historic Florida circuit in preparation for tomorrow’s race. Optimism is high among the team for tomorrow’s race – coming into the event as the defending champions. 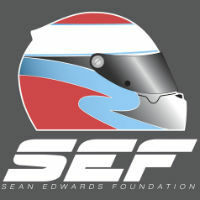 “This is an incredibly difficult place to figure out from a driver perspective, and it’s a new car and learning experience for Ryan,” said Paul Miller Racing team founder, Paul Miller. “Even with some testing miles under his belt, I really think Ryan is starting to learn the car and the track – we’re excited about his pace. Sellers and Paul Miller Racing are the reigning IMSA WeatherTech SportsCar Championship GTD class champions. This weekend the team welcomes back Madison Snow who drove with Sellers in 2018 and will lend his experience to the team from the timing stand tomorrow. “We’re excited to see Madison although we never expected him to stay away so long. We thought he would show up at Daytona,” Miller said. “I had a pretty good qualifying run. The car was super good, the best it’s been all weekend. I was really pumped after the morning warm up/practice session. “I’m really happy with the car and the car setup. I think it’s really drivable for the whole race. I think we’ve got a great shot to win this race, even starting from 12th. I think we have a great car that can drive to the front.